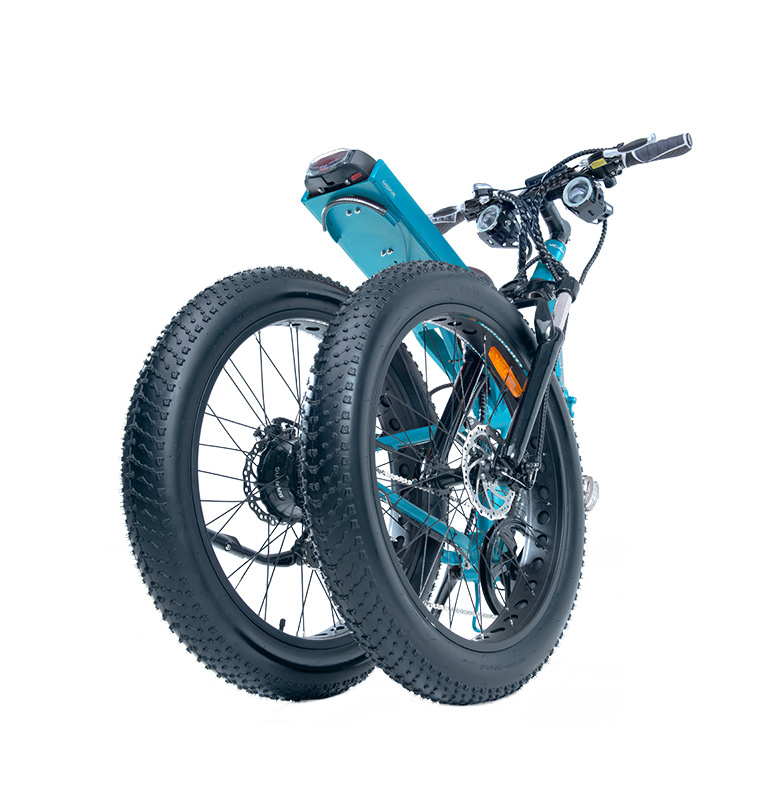 HomeElectric vehiclesGreen ProductsLifestyleRenewable energyTransportVehicle MOAR eBike - The World’s Most Powerful All-Terrain Folding Electric Bicycle That Can Tow an SUV! 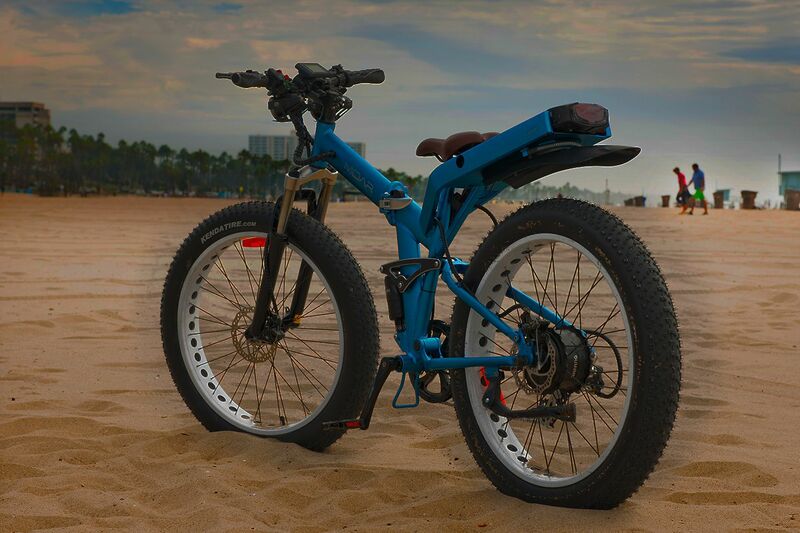 MOAR eBike - The World’s Most Powerful All-Terrain Folding Electric Bicycle That Can Tow an SUV! 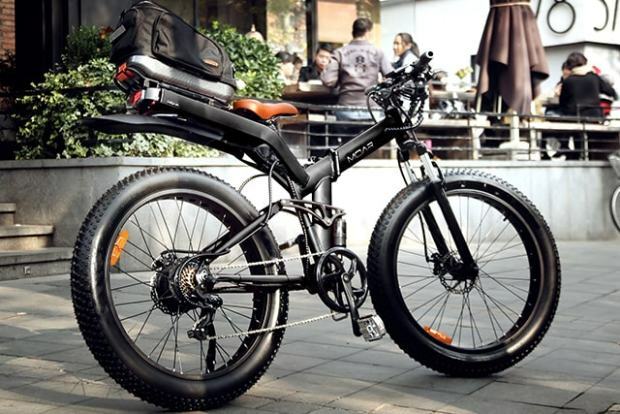 Many time people ask for an electric bicycle that is sturdy, compact, foldable and powerful which can withstand the all-terrain conditions and response quickly during an emergency! These desires look very optimistic; however, it’s not impossible for the creative designers of green products. Now, MOAR Bike launches an intelligently designed eBike that can be placed somewhere between a bike and a scooter or motor cycle! 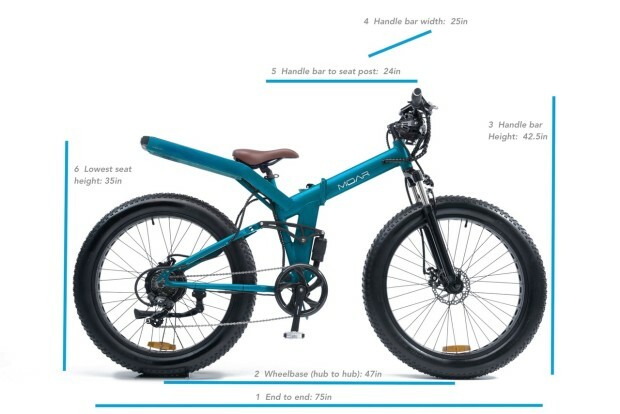 If you are looking for a robust, stylist eBike capable of tacking any terrain and versatile then you will get it in MOAR eBike. 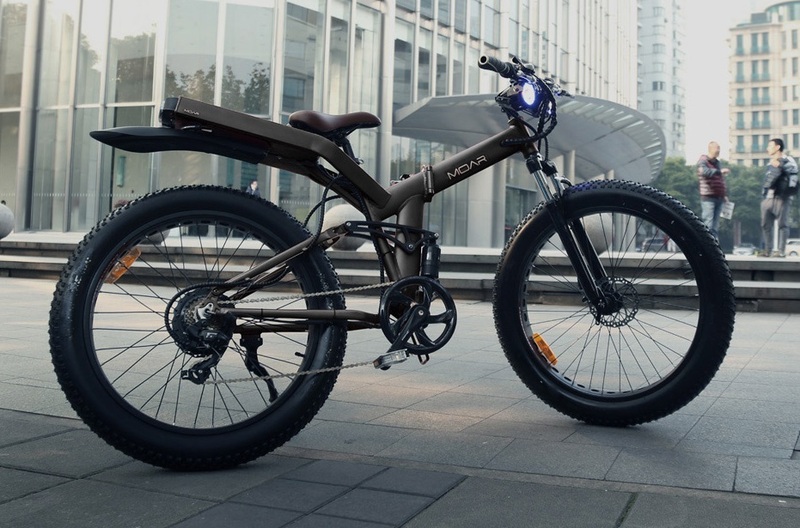 It’s one of the most powerful and safe drive electric bicycles, having fat tires, folding frame and compact in design for on or off-road. Its battery is premium 48V Samsung Li-Ion similar as Tesla uses, that gives more power and efficiency. The battery charges in about 4-5 hours using its included charger. 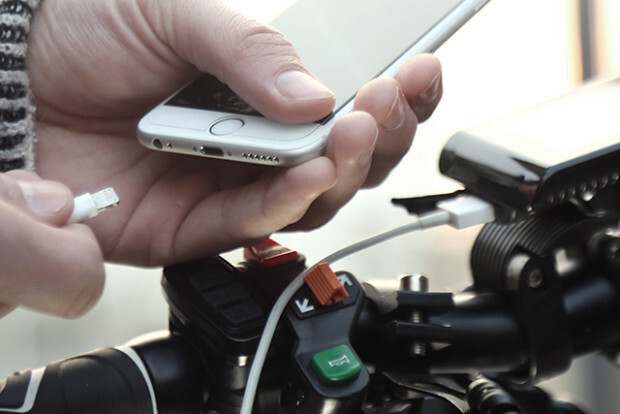 It powers to motor, lights, horn and USB port that charging your gadgets. 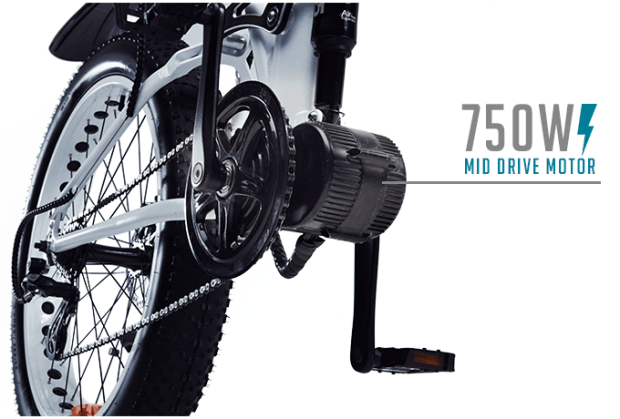 Its powerful battery and 750w motor give an astonishing 85-mile range at 30% more torque, power, and efficiency for the weekend warrior, the daily commuter, and the eBike enthusiast. 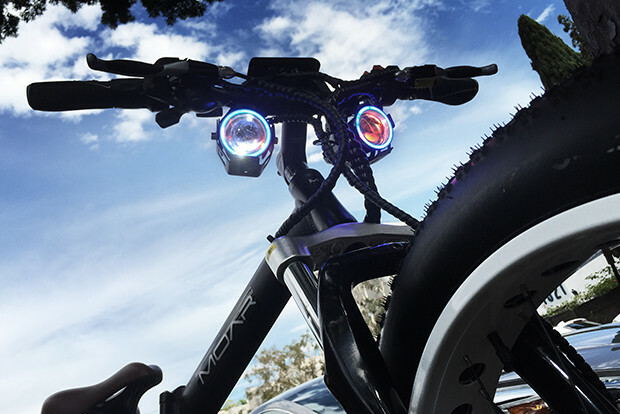 Safety features such as the water-proof electronics, disc brakes, projection headlights, turn signals and brake lights along with aircraft grade aluminum could make it more attractive to the riders. The bike comes with complete 7, 8, or 9-speed gears made by Shimano which provides more control over your ride while increasing efficiency. Top speed is capped at 20 mph to comply with regulations; however, press a few buttons on the LCD screen to unlock max speeds of 28 mph (mid-drive motor) and 25 mph (rear-hub motor) for off-road riding only. 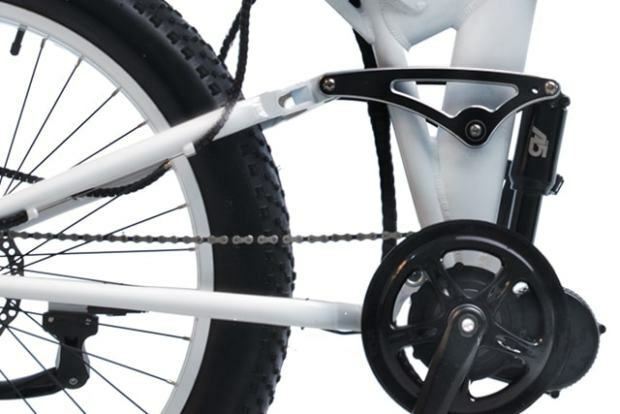 For ease of storage and transport, its frame is designed in such a way that it folds to half size with just one flip of the safety catch and a pull a latch. The MOAR bike weighs around 60lb without the battery. 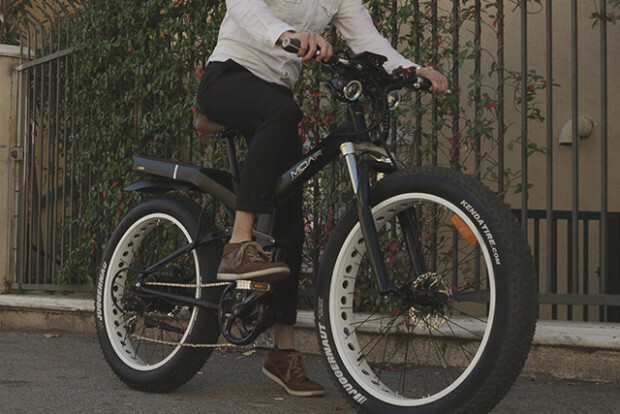 MOAR eBike are available in two colors – pearl & matte black and three models- SUN & FUN, 24/7 and RAPT at $999, $1199 and $1999 respectively on Indiegogo. The Pedal Assist System (PAS) assists you for the wide range of modes from economy to sporty mode. If you are riding on a trail and need to climb a steep slope, the MOAR PAS knows you are pedaling harder and provides more power based on your selection of 5 levels of PAS.